If you serve as a nonprofit board member, we recommend that you review the organization’s Form 990 and be informed enough to answer these 15 questions. When applied properly, expenses reimbursed through an accountable expense reimbursement plan do not result in taxable income. Here is a sample of an accountable plan. What are we aiming for? Or in ministry terms, how do we define success? From our research, ministry leaders typically define success along one of two lines. Sample Audit Committee Charter in Word format to revise and use. Humanitarian nonprofits need to be prepared for a new level of scrutiny and transparency by developing or upgrading their existing policy regarding disaster response situations. Could Your Ministry Use an Accountability Tune-Up? The Effective Financial Communication for Churches and Nonprofits Webinar featuring Gregg Capin, partner in the Atlanta office of CapinCrouse, and Richard Larkin, technical director for not-for-profit accounting and auditing for the Institute for Nonprofit Excellence in the Washington, D.C. office of BDO USA, LLP, covers the key elements of effective financial communications. There are several reasons why a not-for-profit organization might undergo a financial audit. We hear about fraud in the news, but we don’t want to consider it as a possibility in our ministry. While this short summary is not meant to be all-inclusive, it will help you assess your current situation and determine if additional precautions or considerations may be necessary to protect your organization. Nonprofit ministries often make gifts to employees to show appreciation for the dedicated service. These payments may take several forms and have important implications to the ministry, the staff members, and donors. How many months of cash should our ministry have in reserve? How many months of cash should our ministry have in reserve? Are there different categories of reserves we should consider? Certain credit cards may be used to restrict purchases to specific vendors (purchase card) or types of expenditures (travel card). Starting a quasi-endowment program should begin with a sound policy. Rescue missions often make modest payments to "clients" who participate in a spiritual transformation program at the mission. This document addresses the taxability of these payments. The IRS Takes These Board Financial Responsibilities Seriously — Do You? If you serve on the board of an organization, you’ve probably heard the term “fiduciary responsibility” and know that it applies to your role as a board member. What are the Compensation Committee Best Practices for Setting CEO Compensation? 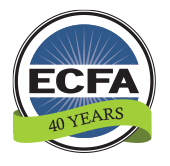 An ECFA member ministry has a compensation committee charged with the responsibility to recommend the CEO’s compensation and fringe benefits to the board each year. The committee is comprised of two non-staff board members and the ministry’s CFO. When the board receives the recommendation of the compensation committee, the CEO stays in the boardroom but does not participate in the vote. While the compensation committee records the details of the recommended compensation in their minutes, the board minutes do not reflect any details. How could the ministry improve their practices? When is it Appropriate to Make an Overhead Charge to a Ministry Project? When a ministry raises funds for a project—let’s say a building fund or a campus expansion fund—is it appropriate to make an overhead charge to the project? In other words, is it appropriate for a ministry to allocate a portion of the funds raised for the project to cover general and administrative costs and any costs related to raising the resources with the total raised less the overhead allocation used for the project?